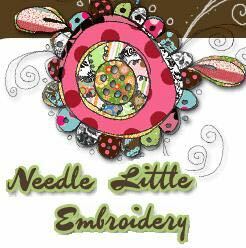 & one file for applique!!! 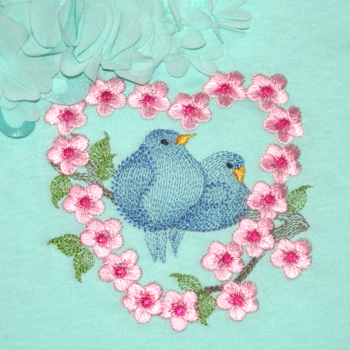 Bluebirds in love features a delicate pair of lovebirds done in a sheer contoured effect, perched upon a branch, encircled in a heart shaped wreath of satin accent blossoms. 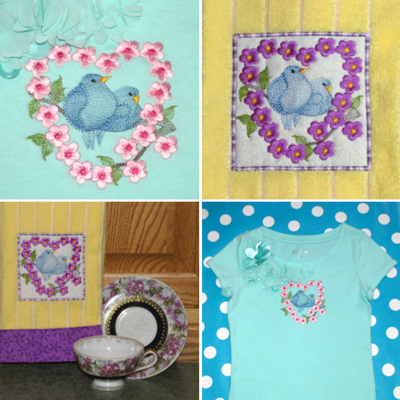 A sweet and lovely design for anyone who loves bluebirds, nature and hearts. 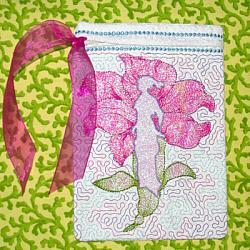 This design is wonderful for that special touch ~ from fashion accents to home dec applications. 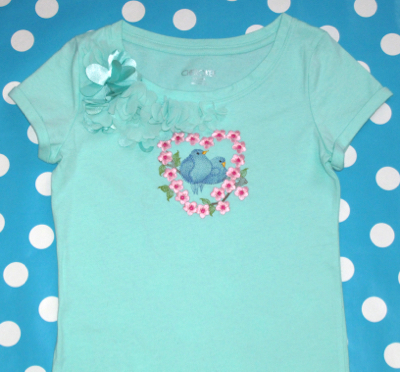 This heart shaped design is perfect year round, from Valentines Day to brightening the dreary Winter days and any day in between, Spring or Summer too, this cheery design is sure to please! 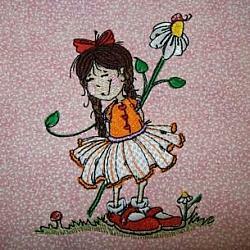 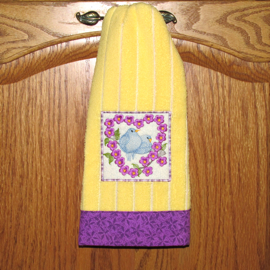 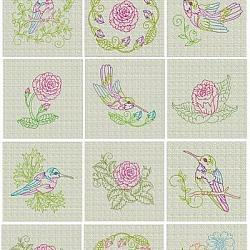 Stitch as a direct embroidery design for a delicate look or stitch as an appliqued patch for home dec accents. 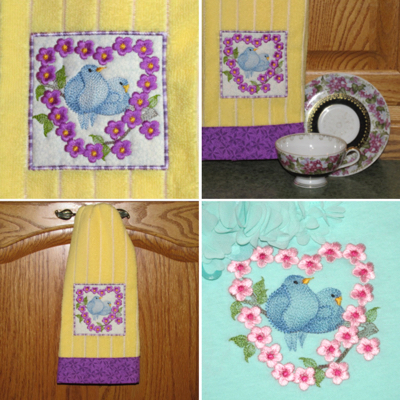 Pretty up the powder room or brighten the kitchen! 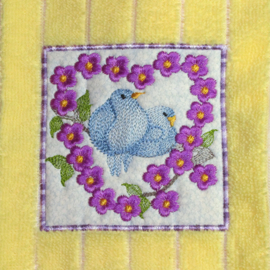 A PDF instruction file shows how to use this applique to have a fully finished towel on both sides. 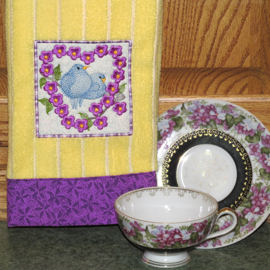 No messy threads or ugly unfinished edges for towels you'll be proud to show or gift!